Tracking time on specific tasks is a highly demanded function for any workplace. Law firms, agencies, and consultants all need a simple way to see how much time was spent on a task within a project. With that in mind, we’ve built a feature in Hubstaff that lets you import tasks from your favorite third-party project management software using APIs. This lets your team track time in Hubstaff for any of the tasks they get assigned to, in whatever project management software your company uses. If you’re already using Hubstaff and want a clear walkthrough to get started, check out this step-by-step guide of setting up a tasks integration in Hubstaff. Thousands of users are already using the Hubstaff task integration function to manage their teams much more efficiently. Hubstaff lets your team track time on each task within the UI of the third- party platform or on Hubstaff itself. The Windows, Mac, and Linux apps have all been designed to include tasks and other enhancements. Each app has a native look and feel. We even alter the UI based on which version of Windows you are using. You don’t have to use a tasks integration with a third-party project management tool to use Hubstaff. The time tracking feature works by itself, too. Time and project management in one. Try it free for 14 days. Here’s a little more detail on exactly how our time tracking apps work. You assign tasks to workers in project management apps like Asana, Basecamp, Jira, Trello and many more. You map the team members present in the project management software to Hubstaff. Those team members will see their assigned tasks in the Hubstaff desktop app. Your team tracks time to the tasks by selecting one and then starting the timer. 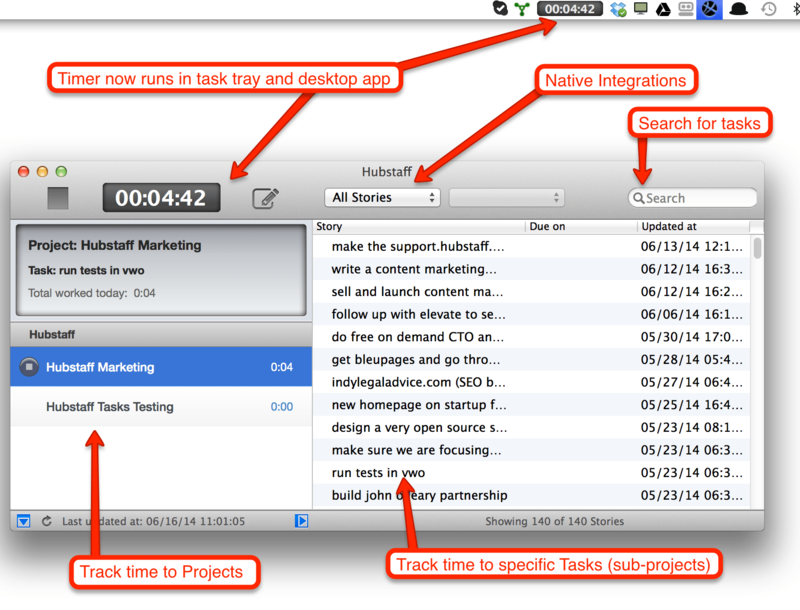 Hubstaff will also upload the time and activity back into your project management software. Your team members will also be able to mark tasks as complete directly within the desktop app and those changes will be synced back. The data will also show up in your Hubstaff dashboard so you will be able to see detailed reports of each person, breakdown of time spent on tasks, costs per task and much more. 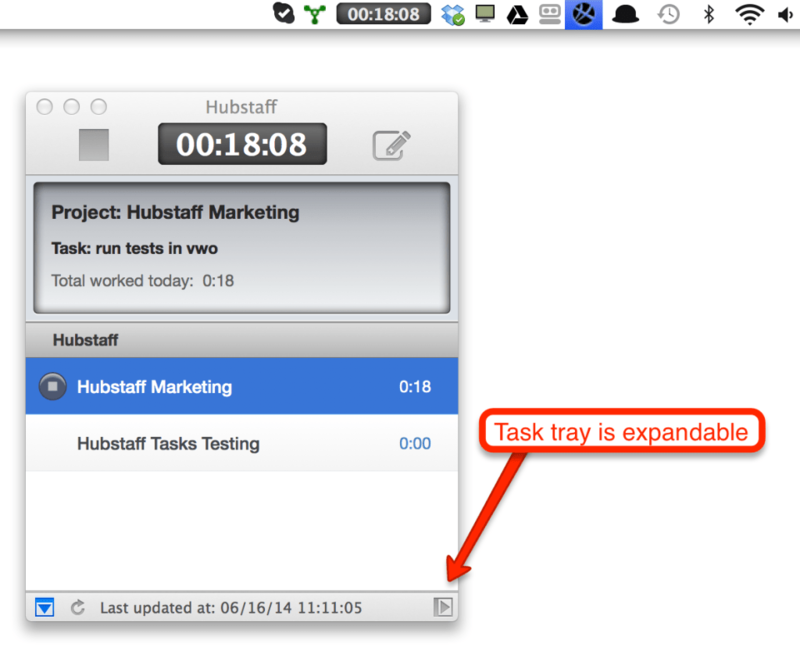 Of course, there’s another option for tracking time toward tasks: Hubstaff Tasks. This comprehensive project management tool uses agile methods, sprints, and visual workflows to keep projects moving. Add checklists, assign tasks, specify due dates and more. Everything related to a task is in one place, so checking in is as simple as logging into Hubstaff Tasks. Because it was built to work with Hubstaff, there’s no better way to sync time and project management. Try it completely free by signing up for Hubstaff Tasks today. We’re always building our integrations and other functions in accordance with the needs of our users. Please comment below with your requests for integrations or other functions you’d like to see on Hubstaff. This post was published June 16, 2014, and updated April 2019.